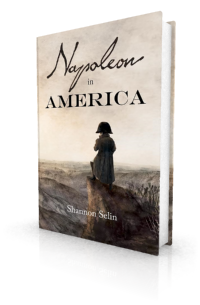 Napoleon has been used as an example in self-help books ever since the genre was invented. Authors of self-help books often misquote Napoleon (see 10 Things Napoleon Never Said) and tend to be vague or inaccurate on historical details. The self-help lessons drawn from Napoleon say as much about the preoccupations of the author, and the age in which he or she is writing, as they do about the former French Emperor. The first self-help book is generally considered to be Self-Help; with Illustrations of Character and Conduct (1859) by Scottish author Samuel Smiles. Smiles included Napoleon in a chapter on “Energy and Courage,” not as someone to emulate, but as something to avoid. Smiles was far more admiring of Napoleon’s British opponent, the Duke of Wellington, whom he lauded for honesty, punctuality and assiduous attention to detail. Though Smiles was writing in Victorian times, he was born in 1812, three years before the end of the Napoleonic Wars. He remembered the militia occupying the barracks in his small town, and the celebrations that followed Wellington’s victory at the Battle of Waterloo: “the bands of the militia, the drums and pipes that paraded the town, and the illuminations that followed [made] a deep impression on the imagination of a child. … The talk by our firesides long continued to be about wars, with remembrances of recent campaigns.” (3) Smiles also recalled the high food prices and the heavy taxation that were among the economic effects of the wars. It’s not surprising he presented Napoleon in a cautionary manner. American inspirational author Orison Swett Marden had a sunnier take on Napoleon. His first self-help book, Pushing to the Front or Success Under Difficulties (1894) appeared when there was a resurgence of American interest in the French Emperor. In 1894/95, journalist Ida Tarbell wrote a series of favourable articles about Napoleon for McClure’s Magazine. These became the basis for a popular Napoleonic biography, published in 1895. Marden frequently cited Napoleon in his book. 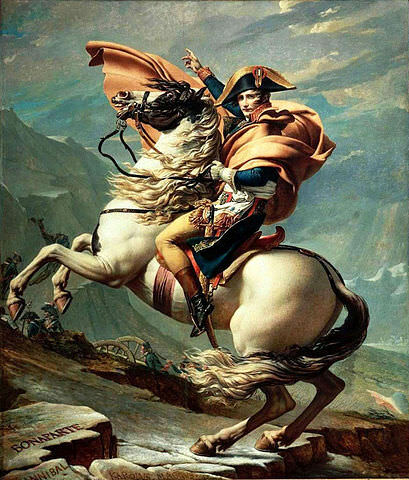 The first chapter, “The Man and the Opportunity,” includes the example of Napoleon crossing the Alps. Other lessons Marden drew from Napoleon were the importance of getting up early in the morning, enthusiasm, persistence, and practicality. By the time American actor Douglas Fairbanks published his self-help book, Laugh and Live (1917), the Napoleonic Wars were a distant memory, overshadowed by the Great War (World War I) then in progress. Napoleon appears only once, in a chapter called “Building of a Personality,” in which personality is defined as “the most perfect combination possible of man’s highest attributes.” Fairbanks helped to perpetuate the myth that Napoleon was short. Perhaps the oddest Napoleonic self-help lesson was drawn by Napoleon Hill in Think and Grow Rich, first published in 1937. For more self-help lessons from Napoleon, consider what the newspapers said when he died. Samuel Smiles, Self-Help; with Illustrations of Character and Conduct (London, 1859), pp. 156-157. Samuel Smiles, The Autobiography of Samuel Smiles, edited by Thomas MacKay (New York, 1905), p. 4. Orison Swett Marden, Pushing to the Front or Success Under Difficulties (New York, 1894), p. 3. Douglas Fairbanks, Laugh and Live (New York, 1917), p. 49. Napoleon Hill, Think and Grow Rich (Bombay, 1937), p. 271. Dale Carnegie, How to Stop Worrying and Start Living (New York, 1948), p. 96. Self-help and Napoleon! What an individual topic. You never disappoint Shannon! Napoleon started out as a Corsican freedom fighter. He had to run or be killed. So he went to a military school and learned as much as he could. Then he put it into practice and kept getting better until he got mired in the unknown. Adversity ( war) is the mother of invention. Imagine that you get hit with $5,000,000 scam. You may go to a book store, discover Warren Buffet and the MOTLEY FOOL STOCK ADVISOR. Buy good stocks, earn 30% average annual compound interest, or better. Nvidia is up 900% in the last 5 years and 93% this year. Netflix is up 1,000%. This really happened. 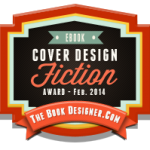 Check it out and thank Napoleon for finding the way.